Studebaker Drivers Club, “The Co-Operator”, edited by Bob Palma. And if you are still not convinced about the need for adequate ZDDP (zinc diakyl dithiophosphate) in your engine’s motor oil if you have a flat-tappet camshaft valve train, we herewith offer this documentation from High-Performance Advisor Jim Pepper. Jim included the following comments with the photographs. Here is some recent, dramatic, evidence about what may happen when motor oil with inadequate ZDDP is used in engines with flat-tappet valve trains. These photographs were taken in mid-October 2009. They are of a new, name-brand, competition camshaft and lifters from a friend’s 429/460 Ford. These parts have only about 20 minutes of proper run-in time. All but 4 lifters were severely wiped off, as you can see, as were the camshaft lobes. The only mistake was that the wrong oil was used. The engine is now apart and needs a complete rebuild due to metal having fouled the oiling system. All the bearings are scratched, as are the crankshaft journals. In fact, the photos do not do justice to the damage done to this engine. As I said earlier, my opinion about the ZDDP concentration needed for our collector-car engines is based on factual evidence such as this. We certainly thank Jim for his report with these dramatic photos. Neither Jim nor I are aware of any Studebakers having been manufactured without the very same flat-tappet valve train setup illustrated in these photographs, a valve train that simply must have a higher concentration of ZDDP than is found in contemporary motor oil of any brand, if that oil is marketed for late-model vehicles. Here is an interesting e-mail from John Clary in Greer, South Carolina. This came over the transom before Jim’s report and photos. I have been following your information on ZDDP in The Co-Operator. I have been in SDC since 1975 and for many years, hardly missed any local meets, but have made it to only four nationals. For the last several years, our family has had some illnesses and members passing, so I had to put my car hobby on the back burner for a while. When I read the article about ZDDP, I almost became afraid to drive my Studebakers! Our local car parts dealers merely gave me a blank stare when I mentioned the change in oil additives. I have a good friend who is an excellent mechanic. He is also a fleet manager for a major truck leasing company, managing a fleet of large diesel trucks. He also has a 1957 Ford that would be the envy of any old southern bootlegger. I made a copy of your article (with the recent amount correction) and gave it to him. He said that this was the first he had heard of the situation! He buys Valvoline in bulk and called and talked to a Valvoline technical engineer. For the SAE 30 HD oil we use in many of our collector cars, the Tech guy told my friend that Valvoline VR1 Racing Oil has the correct amount of ZDDP and appropriate detergents for our engines. I went to my local parts store and bought the 5 quarts they had. The owner said he would get more and keep it in stock. I prefer to use off-the-shelf oil, rather than buying cans of additive and hoping to get the correct mixture. Also, if a car needs the oil topped off, it would avoid the question of how much additive should be added if you were using oil containing insufficient ZDDP. This Valvoline product, and other oils you’ve mentioned, would take care of this problem. The reason I am sending you this is because some people have said they are tired of hearing about it. I didn’t want to pester everybody with a subject that everyone is tired of. However, I don’t think we can over-stress the importance of something so important to keeping our engines running. You are right, John; some people are tired of this being discussed. However, I am keeping a file of information such as yours and will be running periodic updates in The Co-Operator every six months, whether people like it or not! 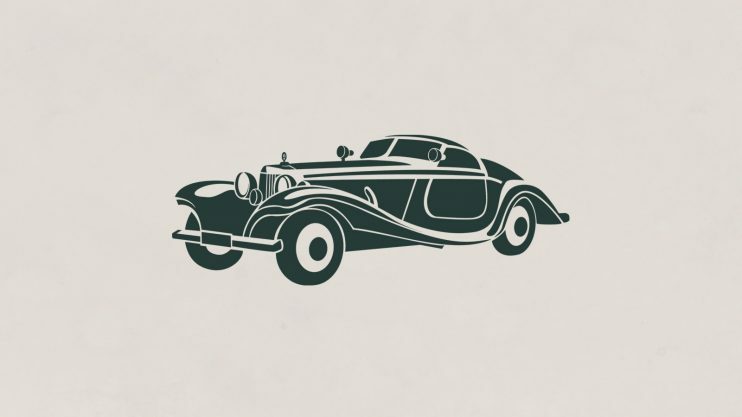 It’s important to keep the right oil in our engines, things are changing all the time, and this applies to virtually every Studebaker vehicle except those that are horse-drawn, or have late-model, “other-brand” engine swaps that may employ roller-lifter-camshaft valve trains. Thanks again for your note, John. This topic was discussed at length in the September 2009 Co-Operator, so we will not dwell on it again so soon. Readers seeking more information are directed to that issue of Turning Wheels. Valvoline Racing oil is not designed for long term use it is for short intense use and racing purposes. 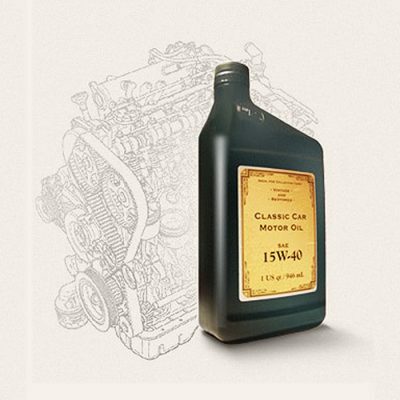 Classic Car Motor Oil is designed for long term use in vintage engines and is the optimal oil.